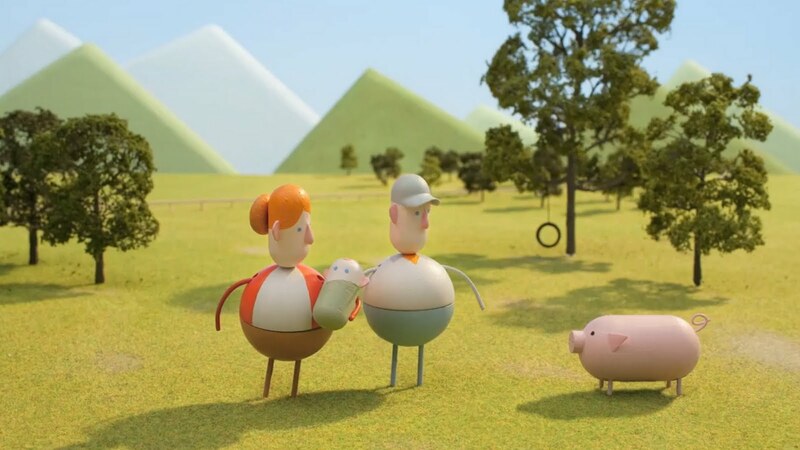 Chipotle‘s online film “Back To The Start” has won the 2012 Grand Prix for Film and Grand Prix for Branded Content and Entertainment Cannes International Festival of Creativity. Back to the Start depicts the life of a farmer as he slowly turns his family farm into an industrial animal factory before seeing the error of his ways and opting for a more sustainable future. The soundtrack of the short film is Coldplay‘s haunting classic ‘The Scientist’ as performed by country music legend Willie Nelson. Both the film and the soundtrack were commissioned by Chipotle to emphasize the importance of developing a sustainable food system. The Back to the Start film was produced at Creative Artists Agency, Los Angeles, by Nexus Productions director Johnny Kelly, director of photography Matthew Day, camera assistant Max Halstead, producer Liz Chan, production managers Claire Thompson and Alistair Pratten, gaffer Aldo Camilleri, compositors Alasdair Brotherston and John Taylor, 3D previs lead Mark Davies, art department Gorden Allen, Ben Côté and Joe Kirton, studio manager Elizabeth Day, production designer Graham Staughton, set animator Matt Cooper, character animator Gary Cureton, puppet wrangler Joe James, set designer Gee Staughton, rigger Gary Faulkner, executive producers Cedric Gairard, Chris O’Reilly and Charlotte Bavasso Sound was designed by Barnaby Templer at Fonic. 3D models were produced by Bob Thorne and tea at Artem. Music was produced by Justin Stanley and Doyle Bramhall, and supervised by David Leinhardt at Duotone Audio Group. Chipotle is known for its burritos, but few know that Chipotle has radically changed fast food: from cooking fresh food daily, to building a supply chain of 7,000+ farmers, to sourcing more local produce and sustainably raised meat than anyone, anywhere. All while becoming the most profitable restaurant concepts of our time. Chipotle asked Creative Artists Agency to find a way to tell this story and to inspire a broad audience to care about their food. Believing that the more people know Chipotle is a business doing good, the more likely they will become passionate and loyal customers. Creative Artists Agency created the platform ‘Cultivate’ to celebrate the people changing food culture and invite customers to join that journey, launching it with “Back To The Start”. The film asked fans to download The Scientist on iTunes, with their own money, to raise funds for the Cultivate Foundation and FarmAid. The song was distributed on radio stations across America to add to people’s awareness of the song and film. Distributed using a digital-first strategy, the film first launched on YouTube with no paid media support. The launch was supported with an earned media plan and the social media assets of Chipotle, Willie Nelson and Coldplay to a collective audience of 21m Facebook fans. Next, the campaign added paid digital while shifting to the big screen with Back To The Start spending eight weeks running on over 10,000 theatrical screens across the nation. Finally, the campaign took Chipotle into TV advertising. Back To The Start ran in its entirety, during the 54th Annual Grammy Awards to an audience of over 40m viewers. Back To The Start ingnited a conversation in pop-culture. In only 9 days, the film had 5,071 relevant mentions across blogs, Twitter, news, forums, Facebook and earned 11,024,870 impressions via Twitter alone. With each stage awareness and engagement grew as fans viewed and shared the film, making Chipotle the ‘no.4 Most Buzzed about Ad Online’ and ‘no.1 for Positive Brand Sentiment’ according to NYTimes/Zeta. To date, the film has been viewed over 6m times on YouTube and earned 300MM+ media impressions. Finally, the Grammy’s catapulted The Scientist to no.1 on the Country iTunes chart. See the Inspiration Room story on the Chipotle Abandoned Film, the next part of the campaign.